If anybody has been a fan of superheroes and Marvel Comics, then they surely know who Stan Lee was. But for those who don’t know about this iconic comic book titan, he was the co-creator of comic characters including Spider-Man, the Hulk, Doctor Strange, the Fantastic Four, Daredevil, Black Panther, the X-Men Ant-Man, Iron Man, and Thor. Phew! that’s quite a list on its own. He created these characters along with Steve Ditko, Jack Kirby and his brother Larry Lieber for Marvel Comics. Lee passed away at the age of 95 at LA’s Cedars-Sinai Medical Center on Monday. He had been rushed to the hospital, but he did not make it. His health had been declining steadily from February when he made it public that he was suffering from pneumonia. Lee was employed as an assistant in 1939 at the new Timely Comics division of pulp magazine on the recommendation provided by his uncle Robbie Solomon. Solomon was acquainted with comic-book publisher Martin Goodman. Solomon’s daughter and Lee’s cousin, Jean, was Goodman’s wife, was formally hired by Timely editor Joe Simon. With remarkable work from Lee, Goodman promoted him in the top tier of company’s employees. Gradually, Timely evolved into Marvel Comics. His characters became popular and have led to the creation of billion dollar franchises.? Lee was inducted into the comic book industry’s Will Eisner Award Hall of Fame in 1994 and the Jack Kirby Hall of Fame in 1995. He received a National Medal of Arts in 2008. There are half a dozen accolades to his name. But leaving it at that would be unfair to both the comic character creator and his fans. He was one of the first people who would share all the info about the company and his industry in public, thus setting foundation and promoting the culture of Comic-Con. The Marvel Bullpen Bulletin brought the creators and the fans much closer. 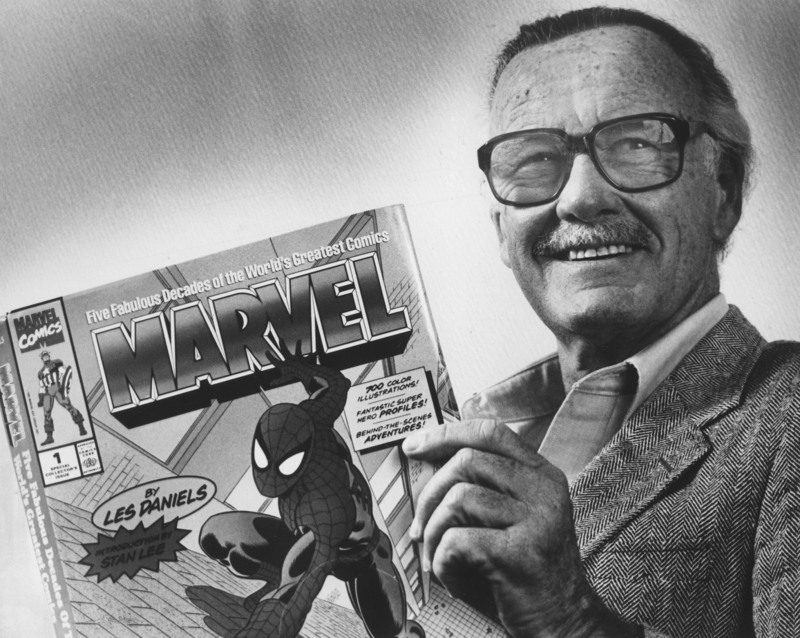 The Stan Lee Foundation was founded in 2010 to focus on literacy, education, and the arts. It provides financial and promotional support to programs and ideas that improve access to literacy resources, promotion of diversity and national literacy. R.I.P Legend! You shall remain forever in our memories!